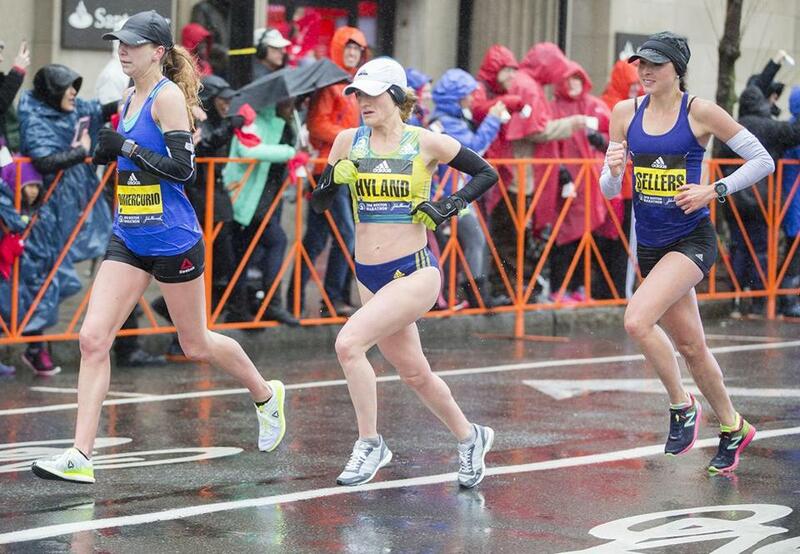 Runners approached the 24-mile marker of the 2018 Boston Marathon. Billy Ridge won’t ever forget where he was on April 15, 2013, when the Boston Marathon fell victim to a terror attack that killed three people, wounded more than 260 others, and left the surviving terrorist facing a federal death penalty. Ridge was on Boylston Street in downtown Boston that afternoon near the medical tents that were placed there for the exhausted runners but were converted into triage stations for those wounded when two bombs detonated near the finish line. That part of Boston’s history will be on Ridge’s mind as he oversees the deployment of Boston police throughout the city on April 15, when the 123rd Marathon is held on the exact day that terrorists struck. “A lot of people remember where they were that day. I certainly remember. I will never forget that,’’ said Ridge, who is now the top uniformed officer in the Boston Police Department. “ [It] kind of became personal that day” for the men and women of the Boston police. Ridge joined a host of federal, state, municipal, and military officials Wednesday in unanimously declaring no terrorist threat currently targets the 123rd Marathon. The officials also said law enforcement is doing everything possible to make the race safe for the 30,000 runners, the 10,000 volunteers, and the estimated 1 million people expected to line the 26.2-mile course from Hopkinton to Copley Square. State Police will deploy all four of their helicopters. Cameras will be in place at spots along the course, and uniformed officers and members of the National Guard in uniform will be out in the hundreds. An undisclosed number of plainclothes officers will mingle in the crowd. In all, some 7,000 law enforcement personnel will be deployed. But officials said one key to assuring the safety for all will be members of the public. The officials urged people to call 911 if they see anything suspicious or out of the ordinary. Killed in the bombing were Martin Richard, an 8-year-old from Dorchester; Lingzi Lu, a 23-year-old Boston University graduate student from China; and Krystle Campbell, a 29-year-old restaurant manager from Medford. Boston Police Officer Dennis Simmonds died in 2014 from injuries suffered during a shootout with the terror suspects in Watertown. Dzhokhar Tsarnaev was sentenced to death for his role in the bombing. Tsarnaev and his older brother, Tamerlan, also killed MIT Police Officer Sean Collier a few days after the bombing. The older Tsarnaev was killed in a shootout with police in Watertown. ■ Leave backpacks at home. Security checkpoints will be installed for the race. ■ Don’t fly drones along the route. ■ Don’t wear costumes with a face mask. ■ Leave the military-style props at home. Tom Grilk, CEO of race organizer Boston Athletic Association, said law enforcement has helped to keep the Boston Marathon an international event and has allowed the race and all of those interested in it to continue to support the Marathon.